The National Beef Quality Audit (NBQA) is a comprehensive survey that evaluates beef industry efforts to improve beef quality. Conducted every five years since 1991, the checkoff-funded Audit assesses progress the industry makes on a variety of production issues that ultimately affect consumer demand for beef. The most recent 2016 National Beef Quality Audit Steer and Heifer results rolled out July 13th, 2017 at the Cattle Industry Summer Business meeting. Take a look at the newest data and see where the beef industry is and where further improvements are still needed. The most recent 2016 National Beef Quality Audit Market Cow and Bull results rolled out September 7th, 2017. Take a look at the newest data and see where the beef industry is and where further improvements are still needed. Learn about the significant findings and how each NBQA has influenced and improved the beef industry. 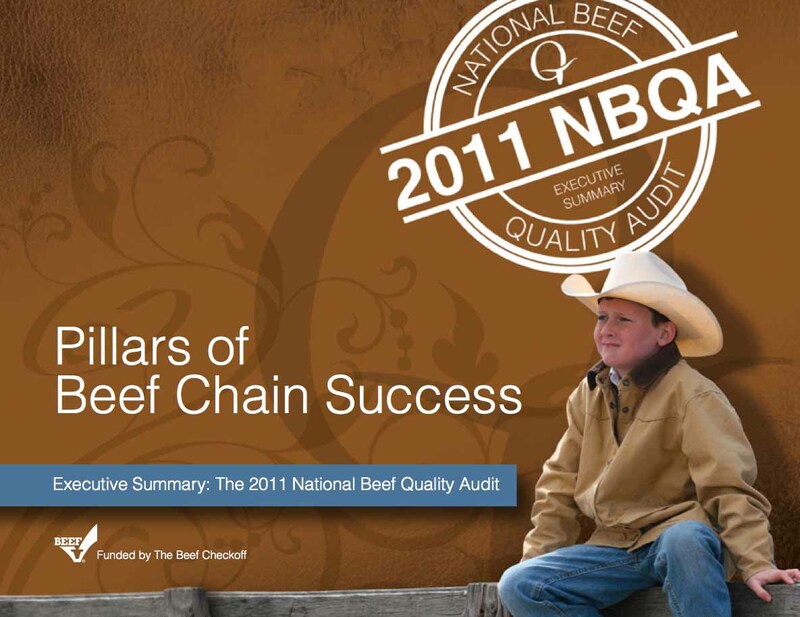 The national beef quality audits have been conducted in 1991, 1995, 2000, 2005, and 2011. These industry wide research efforts collect and analyze data and disseminate information related to the physical characteristics of finished steers and heifers arriving at harvest facilities. The results of these audits have been used to identify strategies and tactics to guide further improvements in beef production.